Jean-Luc Étienne was a student of Pierre Cortellezzi (Nancy), André Stricker (Strasbourg) and Louis Thiry (Rouen) whose teaching was particularly influential. In the latter’s class at the Conservatoire National de Région in Rouen he received the Premier Prix diploma in 1982, prior to post-graduate study. In 1986 he was a finalist in the Concours International de Toulouse devoted to contemporary organ music, thus bringing to light his thenceforth unwavering attachment to the music of his time. 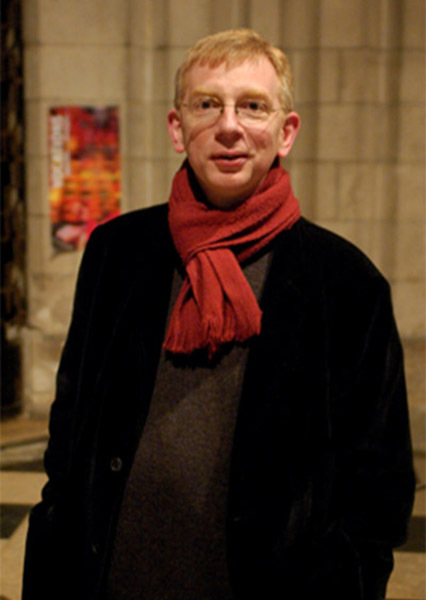 In 2007, he was appointed organ professor at the Conservatoire à Rayonnement Régional in Tours. He gives numerous recitals on prestigious instruments in France (Notre-Dame Cathedral and the Church of Saint-Sulpice in Paris, the cathedrals of Metz and Chartres, Saint-Martin in Colmar, Abbatiale Saint-Ouen in Rouen, abbatiale Sainte-Croix in Bordeaux …) and abroad (Spain, Finland, Switzerland...). Aware of the richness of organ music from the beginnings through to our time, he takes on a very broad repertory, manifesting a particular interest in Baroque music, especially that written in 17th-century France and Italy, as well as the works of Dietrich Buxtehude and Johann Sebastian Bach. Similarly, he readily plays numerous modern and contemporary works, from Arnold Schoenberg, Frank Martin, André Jolivet and Olivier Messiaen through Claude Ballif and Jean-Pierre Leguay. For several years Jean-Luc Étienne has been devoting an increasingly significant part of his activity to creation, improvisation and composition.